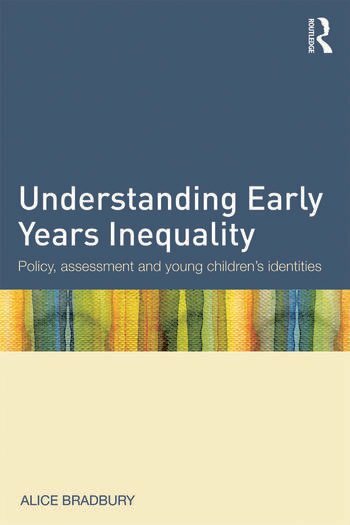 Understanding Early Years Inequality uses critical sociological perspectives to examine the impact of changing assessment policy on primary school classrooms, with a particular focus on issues of inequality. Drawing on accounts of life in early years classrooms, Alice Bradbury suggests that a specific model of the ‘good learner’ operates, and that this model works to exclude some groups of students from positions of educational success. The impact of discourses of class, race, religion and the ‘inner city’ on how children are assessed, and how assumptions about inner city schools and low attainment can put pressure on teachers to assess children in particular ways. In this important text, the author argues that assessment policies can have a huge impact on classrooms and teachers, as well as having potentially damaging effects for young children, particularly those from minoritised and economically disadvantaged backgrounds. The book explores in detail the complex interaction of education policies with discourses of attainment and expectation, and the resulting reproduction of patterns of inequality. Understanding Early Years Inequality will have an immediate impact on current debates about educational policy and practice in Early Years education, and will be of particular interest to academics and students in educational studies, sociology of education, and early childhood studies. Alice Bradbury is Lecturer at the Institute of Education, University of London, UK.